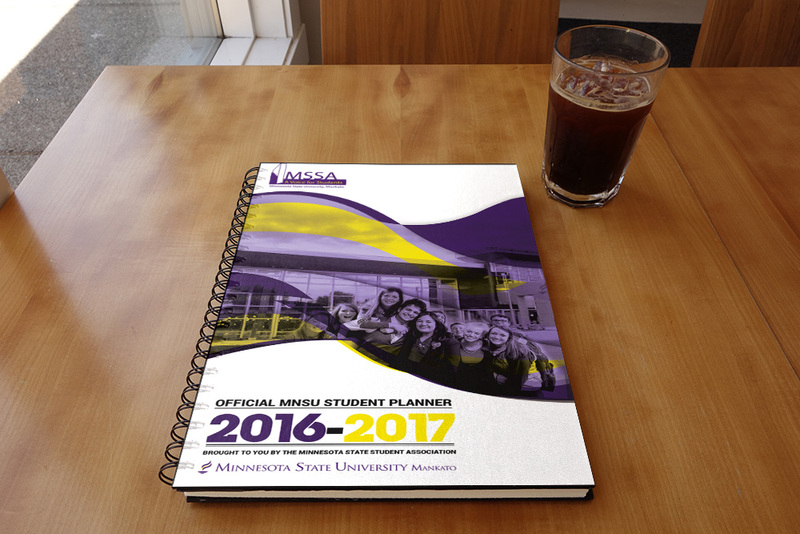 This project included the front-cover design of the student planner for the 2016-17 academic year. Minnesota State University, Mankato (MSU or MNSU), also known as Minnesota State, is a public comprehensive university located in Mankato, Minnesota. 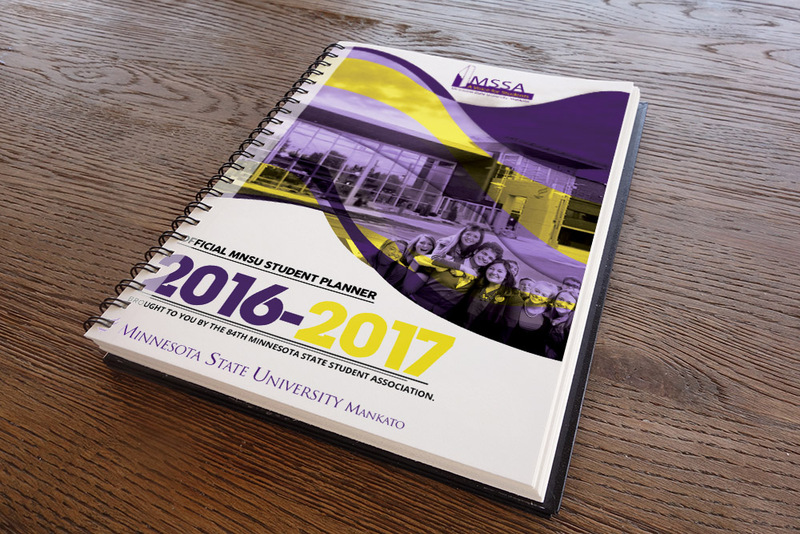 MSSA Exists to Improve Your Experience at Minnesota State Mankato. MSSA is your student government, and we represent your interests to the University, Community, State and Federal levels. We are involved in every University decision that has a direct impact on students and are relentless advocates for student rights both on campus and in the community. MSSA welcomes input from any student at Minnesota State Mankato and encourages all students to participate in the process.